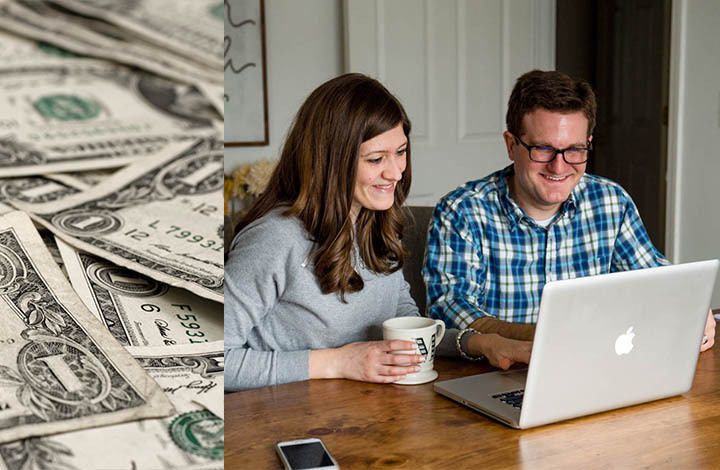 In sharing our financial stories and advice, Maria and I get one question over and over again: “What are sinking funds?” We've talked about saving money before in a general way, but we haven't really discussed many of the specifics about sinking funds. 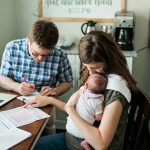 Well, get out your pen and paper, because this post is all about what these funds are, which funds are included in our monthly budget and how we use them. Of all the things I learned in Financial Peace University, I especially love sinking funds. I still remember the first monthly budget I did back in summer of 2014. At the end of that first month, when I actually started putting money into my savings account for designated purposes, the feeling of empowerment was overwhelming. I felt like I had taken control of my finances rather than my bills dictating what I did with my money. Which is why I am so happy to sing the praises of these savings funds to you. 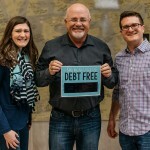 Sinking funds are one of Dave Ramsey’s (and thus Maria and my) favorite ways to plan your budget for the long term. They are great for expenses that are predictable, but don’t come up every month. A good example is our water and sewer bill, which comes once every three months. Or annual membership dues that you pay only once a year. Things like that are perfect for sinking funds. The real advantage of sinking funds is that it spreads out your big expenses over a lot more time. Let's take one easy example: an Amazon Prime membership. I'm sure lots of you are Amazon Prime members. We are; we adore it. But it costs you $99 per year. You could just take that $99 out of your budget in the month that your Amazon Prime renews, but it's kind of a big hit and something else in your budget will have to be significantly reduced. Or, with a little planning, you could save $8.25 per month for 12 months in a sinking fund for your Amazon Prime. That way, the cost is spread out over the entire year rather than hitting your budget really hard in one month. 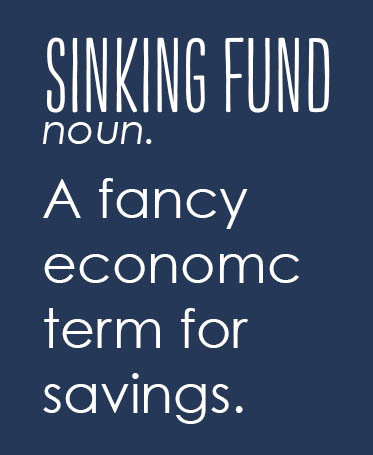 What Sinking Funds Do You Have? 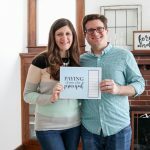 Along with “What are sinking funds?”, another question we get a lot is “What sinking funds do you have?” I'm not going to lie: Maria and I have quite a few items that we are saving for and we are always adding more. Basically, if we have a predictable, recurring expense, we have a savings fund for it. There are a whole lot of other sinking funds you could have in your own budget. Maria and I are renting right now, so we don't have any home appliances like a washer, dryer, refrigerator or dishwasher. If you own your own appliances, replacement appliances are prime targets for a sinking fund. You could also begin saving for replacement computers, major home repairs (like the roof or new carpeting), and new furniture. Heck, I'm even saving up for a new suit for work because it hurts our monthly budget too much to invest in a nice suit with only one month's income. Pretty much any expense you can think of can be a sinking fund. How Do You Use Sinking Funds? Okay, so you know which of your expenses to set up a savings for, but now you're asking, “how do I use my sinking funds?” The answer is super-simple: you put the money in your savings account and keep track on a spreadsheet of how much money is in each fund. For example, if you have $2,000 in your savings account, $1,000 of that might be for your emergency fund (which, by the by, is not a sinking fund), another $500 might be for vacations, another $300 might be for your car repairs, and another $200 might be your new car savings. So you have $2,000 in your account, but you keep track of what each dollar is for in a separate piece of paper or file. Every month, we estimate the expected expense from each sinking fund as best we can and then calculate the amount we need to save per month to save that amount. Like, we know our Amazon Prime membership will be $99 and we pay it annually, so we divide it by 12 to get $8.25. And that's what we save every month for our Amazon Prime sinking fund. By the time the expense comes up, we should have enough saved to pay for it. When the expense occurs, we just transfer that money from our savings account to our checking account. Our smallest sinking fund? The renewal fee for Maria's teaching certificate. It gets renewed every 3 years and costs $160. It's not a big fee, but we don't want to scrimp on our budget when her certificate expires this June. It's a lot less painful to save a little over $4 each month in anticipation of the expense. It takes a few extra minutes to update and maintain our savings spreadsheet each month, but the peace of mind is worth the extra effort. 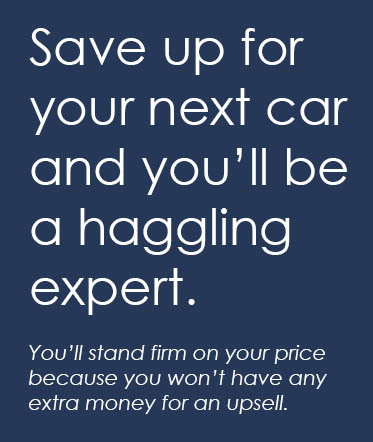 Our best examples are our automotive savings. We currently have a little over $900 set aside for car repairs. Car problems are often one of the most painful blows to personal finances. Maria recently had to replace the shocks and a few other items on her car. Because we had plenty saved in our car repairs fund, we just got it done, no stress. When one of our cars unexpectedly breaks down, it's a really great feeling to just write a check and forget about it. There is no worrying about how we will pay for the necessary repairs. We haven't needed to replace a car as a married couple yet, but Maria saved up for her current car and paid cash at the dealership a few years ago. As soon as her previous car loan was paid off, she just started saving a few hundred dollars each month toward her new car sinking fund. Maria will be the first to admit that she's a terrible haggler (she's way too much of a people pleaser,) but buying a car was easy because every time the salesman at the dealership tried to give her an upsell, she insisted that she had to stay at a certain dollar limit because that was ALL SHE HAD. It's a lot easier to stand firm when you have your sinking fund savings as the line in the sand when you go to purchase a new car. Likewise, Christmas wasn't painful for us at all this year. We set money aside for gifts all year long in anticipation of Christmas shopping. When shopping season arrived, we just bought our presents and paid for them out of our gift sinking fund without affecting any of our other spending like food money or groceries. And we definitely didn't have to put ourselves back into debt by charging those gifts to a credit card. It may sound crazy, but we really look forward to the day when we settle our budget from the previous month and transfer all of our allotted budget income into the appropriate sinking funds. Money is pretty powerful when you make it work for you. Maria and I keep track of our sinking funds in a spreadsheet right along with our monthly budget. If you're looking to start keeping track of your own sinking funds, we are giving away a copy of the spreadsheet we use to keep track of our sinking funds. 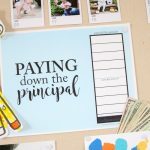 It's the perfect way for you to start your sinking funds and avoid those big hits to your monthly budget when a big, but predictable expense comes up. Thanks to the very talented Brian Weitzel from BTW Photography for snapping the photos in today's blog post! Thank you for the freebie sinking funds spreadsheet. Why are there separate categories, fund and savings, on the spreadsheet? The “1/1/2016 fund” represents how much was in each sinking fund when we started the New Year. We could just as easily have called it “1/1/2016 balance,” I suppose. The “1/31/2016 savings” was meant to be an example of how much you put into the sinking fund after the end of one month. Hopefully that helps! Just an idea… we are currently attending FPU, and found a great app for sinking funds… takes all of the work out of keeping things straight and we love it. It’s called Qapital and you can find it in iTunes (and I am assuming Android places too). You can name each separate fund and keep track of what’s there. You can set up “rules” that tell Qapital how much to transfer to each fund monthly, then transfer it back to checking or savings when you need it. Meanwhile it’s safely kept in Qapital’s FDIC partner banks. Thanks so much for this post! I’m having trouble opening the spreadsheet . . . can you offer it in something other than WinZip? The zip file should work just fine on a Mac. 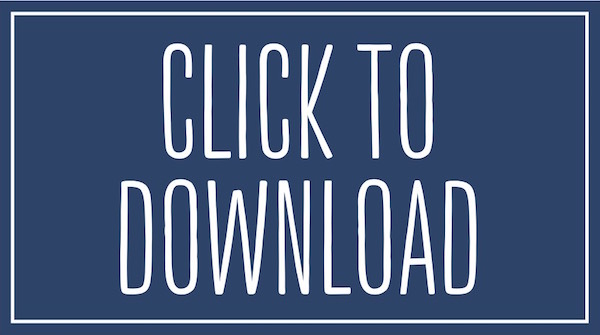 If you double click it after you download it, it will unzip the file for you. If that doesn’t work, try downloading the Unarchiver. It’s a free program for Macs that can handle zip files just fine. Good luck! 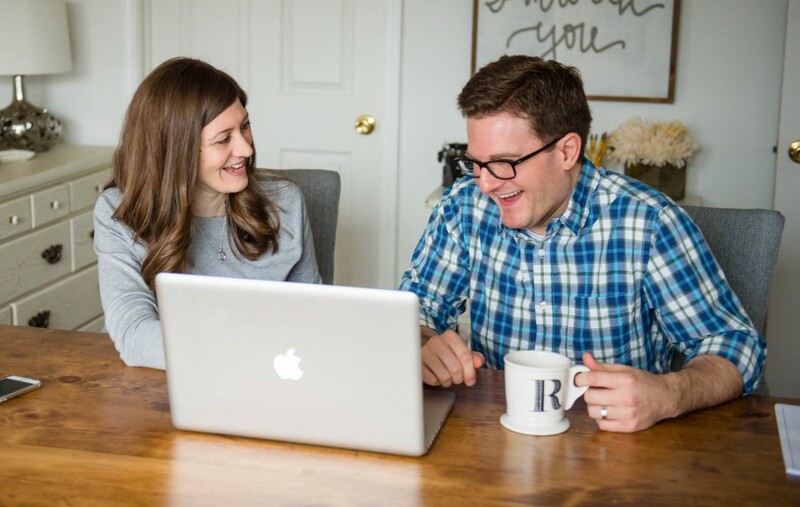 I sure do wish I read a post like this back when my husband and I were newlyweds starting FPU. It helps make it so clear. Now we just need to work on being as organized as you two are. I just found this post by accident-I was reading all of her Stitch Fix reviews! My question is, once you complete the categories on your Monthly Budget, there’s x amount of money left over. For example, you bring home $8,000/month. After bills, savings, and food/gas, you have $3,000 left over. What do you do with that money? When Maria and I have extra money leftover like that, we save it. Right now, that would be our sinking fund for our house, but we also might add some extra to our vacation fund or even put some in our retirement plan. That way, every dollar you earn in a month is told where to go. Dave Ramsey calls it a zero budget. If you have $8,000 in income in a month, your expenses and savings combined should equal $8,000. That’s a great problem to have if you have extra money that you haven’t allocated yet! I am happy that your post came up when I googled “sinking fund in excel”. 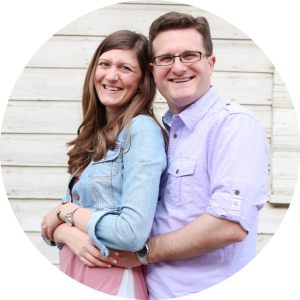 My husband and I took FPU also and it has completely changed the way we live. We have a pretty elaborate spreadsheet broken out by week and I’ve been having trouble figuring out exactly how much is in the sinking funds that we are allocating money to. Your spreadsheet is perfect and I’m going to begin to transfer our numbers in tonight! Thank you for the post! That is so WONDERFUL to hear! It’s always nice to “meet” other couples that love FPU as much as we do and I’m so happy to hear that we were able to provide a simple solution to your problem! Best of luck on your financial journey! I just recently found your post and I had a question. Do you create a sinking fund spreadsheet for each month’s budget? Thank you for sharing such a great tool. I can’t wait to start using it! Great question, Caralee! No, we just have one spreadsheet for the sinking fund that we keep adding and subtracting to throughout the year. At the beginning of the year, we start a whole new Excel file with a clean slate, just bringing over the existing balances in our sinking funds. We actually just did that last week, so it’s nice and clean. Good luck and I hope the spreadsheet helps! I’ve just started dipping my toes in Dave Ramsey’s money philosophies and am so glad you have broken things down nice and clearly! I’ve always had trouble creating a budget, and now with the addition of sinking funds my biggest hurdle at this point is really knowing if a cost is monthly budget or sinking. For example for medical expenses, my son has a weekly therapy appt that costs $10, but we aren’t sure how long that will go on, and I can’t decide where it should go. Does it really matter?? Also, I’m starting to think that it would be smart to start a sinking fund for summer childcare like camps and summer school, would that make sense?? Thanks for any help! Thanks, Danielle, I’m glad we could help make it clearer! Frankly, it doesn’t really matter as long as you have the money available. The point with sinking funds is to spread out big expenses over time so it doesn’t hit your bank account all at once. If I were in your boat, I’d just have the therapy sessions as monthly expenses. It’s not like you’re saving up towards one big expense. It’s just a recurring monthly payment; it would be like saving for your Netflix bill. I definitely think that the summer camps and summer school would make sense to start a sinking fund. That way, you can save all year long for it instead of finding the money when it comes time to pay the fees. Hopefully that helps. Good luck! Everyday this all makes a little more sense to me…thanks for your input! I’m hoping that we can be debt free by the end of the year! Thanks for sharing your story! Thank you for this help. We are in baby step 4 and 6 and I have been having trouble keeping all our sinking fund items straight. I look forward to setting this up tonight. You’re welcome! We’re at 4 and 6 right now, too (and about to add 5 when Baby Gavin arrives in a couple months). It really helps to keep those sinking funds organized for long-haul projects like this. Good luck! I’m back! (see comment above from April 12th!) And I’ve found that using the Every Dollar app has a great sinking fund calculator and tracker built into your monthly budgeting. It is steller! 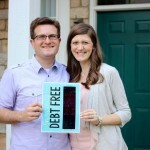 My husband and I have jumped on this Ramsey wagon and paid off $27k this month alone and will be debt free by JULY! Thanks Rob & Maria for these great posts that gave me the courage to really change our money picture! WOW! That’s a crazy amount paid off in one month! I’m so happy for you guys. We haven’t tried the Every Dollar app, but you’re making me curious. Maybe we’ll have to look into that. Congratulations on moving to pay off your debt so quickly and good luck in the next couple months paying it off! Another Sinking Fund question for you. I’ve been trying to ask Dave this directly, but darn it’s hard to get through to the show. Maybe you two have an opinion? SO, of course my best laid plans for being debt free by now did not go as planned. Budgeting has been great! But one of my husbands side businesses took a major dump and we’ve added about 96k on to our debt total. A major bummer, but manageable now that I *think* I know what I’m doing. We have paid off 45k since May and haven’t touched a credit card since April. At this point our debt snowball is about $2500-4000 per month depending on side work that we each pick up. And, we have yet to really set up any sinking funds. Thus far, if a yearly cost came up, we’ve always been able to cover it with our snowball money, and have not had to touch our baby emergency fund. We feel because our house is a newer build, we have good insurance, and our cars are later model and well maintained, that we should be able to pretty much cash flow stuff for at least another 6 months. We also have probability of having at least one or two large bonus checks from his main business between now and March. I feel money going into a sinking fund now, would take away from the urgent need (in my mind??) to pay off debt as quickly as humanly possible. What are your thoughts on cash flow vs. sinking funds with such a large snowball? THANKS! That being said, I don’t know if I have the answer to your question without seeing your budget. When you are working on paying off your debt with a debt snowball, that doesn’t mean you don’t save any money whatsoever. Everyone has big expenses that come up, like car repairs and quarterly water bills and your property taxes. It sounds like you’ve been paying those out of your monthly budget, which is fine, but the sinking funds let you save up over time for those expenses so they don’t all have to come out of your budget in one month. Now, while you are in your debt snowball, you aren’t going to save a lot in sinking funds. During the debt snowball, you are only paying absolutely necessary expenses. Food, clothing, shelter, car, utilities, taxes, etc. Some of those monthly expenses will get dumped into a sinking fund, but only those that you pay less than every month. Everything else should be directed toward paying off your debt. After your debt is paid off, that’s when you can add other sinking funds. Like, I have a sinking fund to buy a Nintendo Switch. If we were in a debt snowball, that sinking fund wouldn’t exist. And this month, money is a little tight, so I’m not saving anything for that sinking fund. I hope that helps. But I really strongly recommend that you check out Financial Peace University. Dave can explain this a lot better than I ever can. Thanks for your reply Rob! Good news…I talked to Dave on the show today! He reassured me that I can pull what may be traditional sinking funds out of my snowball for now. I needed that reassurance. We also just bought FPU on September 1 (it was a line in our budget!) And are registered for a local class starting in a few weeks. I appreciate your thoughts, and condolences on the business. It’s a big ball of bummer, true, but at least I have confidence that we are headed in the right direction! I have been trying to implement a budget and sinking funds. The question I have, has not been discussed in any of the blogs that I have been on. I am confused about what to do in regard to the sinking funds vs my budget. First of all when you set a budget up, do you enter the paid transactions for the month? Also when using money and paying a bill out of sinking funds, are they entered into my budget as a paid transaction for the month, or do you just pay the bill and not make a notation in the budget that it has been paid. I know there are different ways to set up a budget. My budget has a column for budget, a column for actual, and a balance/over-under column. Do I need this kind of budget set up? Thanks in advance for your comment. Peg, thanks for writing! I’m happy to see that you’re trying out budgeting and sinking funds. For your first question, I believe the answer is yes, if I understand what you are asking. Maria and I enter in every transaction that falls in that category throughout the month. That’s how we make sure we aren’t overspending the budget we set and, if we are overspending, know that we need to adjust the budget. 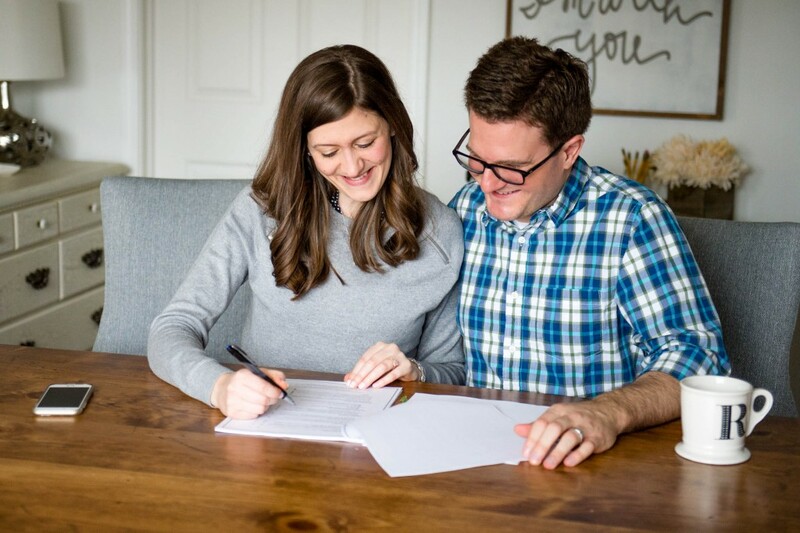 For your second question, when Maria and I pay for something with money from a sinking fund, we enter the full amount of the transaction into the monthly budget sheet as normal. Then, we transfer from the appropriate sinking fund in our savings account into our checking account (which is our “spending money”, if you will) and mark that transfer on the sheet as well. So, if we pay $200 for medical expenses, we mark the $200 on the monthly budget sheet. Then we transfer $200 from our medical sinking fund in our savings account to our checking account and mark -$200 in our monthly spreadsheet. So, the net expense in the monthly budget spreadsheet would be $0. You don’t need an over/under column in your budget, but if it works for you, more power to you. The main thing is that you are not spending more money than you are bringing in (with the exception of sinking funds). 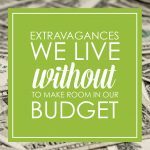 So, if you have spent more than you brought in, you need to be adjusting your budget later in the month, which the over/under column should help you do. Hopefully that helps. Let me know if you have any more questions!